This year, Thanksgiving and Hanukkah fall on the same day. Thanks to the Jewish calendar’s drift, (about four days’ shift over a thousand years on the Western calendar), the last time this occurred was in 1888 and the next time this rare event will occur is 77,798 years from now. 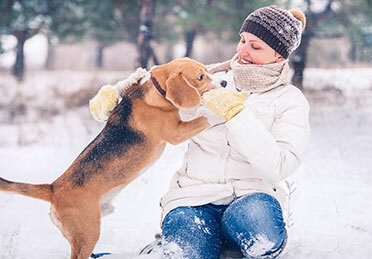 This year’s dual celebration is a once-in-a-lifetime event and a day of extra danger for pets, warn the doctors at Chicago Veterinary Emergency & Specialty Center. MedVet Mahoning Valley Receives Certification as a Level III Veterinary Emergency and Critical Care Facility. We would love for you to share your story about your pet and their experience.